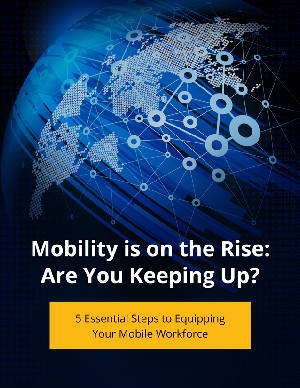 > Readdle > Mobility is on the Rise: Are You Keeping Up? Does your work environment look anything like that of the popular TV sitcom The Office? Probably not. If your company is like most businesses, it’s highly unlikely you see coworkers regularly communicating face to face. And there’s a good chance those type of meetings will continue to decline, according to the latest statistics. The mobility trend has been accelerating in just the past few years. By the end of 2015, 38 percent of the world’s workforce will be mobile. That’s up 65% since 2011, reports Forrester Research. So what have you been doing to help your company adjust to this evolving workplace? If your answer is “not much” or “a few tweaks here and there,” you could be missing out on significant opportunities to generate efficiencies that could impact your company’s bottom line. Today, more companies are discovering that email, file sharing and other traditional methods of collaborating and completing tasks just don't cut it - especially with employees who are accustomed to instantaneous interactions through iPads and other smart tools in their personal lives.